The most beautiful valley in high atlas 62 km away from Marrakech, and agreat opportunity to visit a berber souk with this amasing donkey partk , the walk long the flowing river , we can go and see the seven water full . Lunch is served in a traditional restaurant , tagine and salade , and the fafous tea. 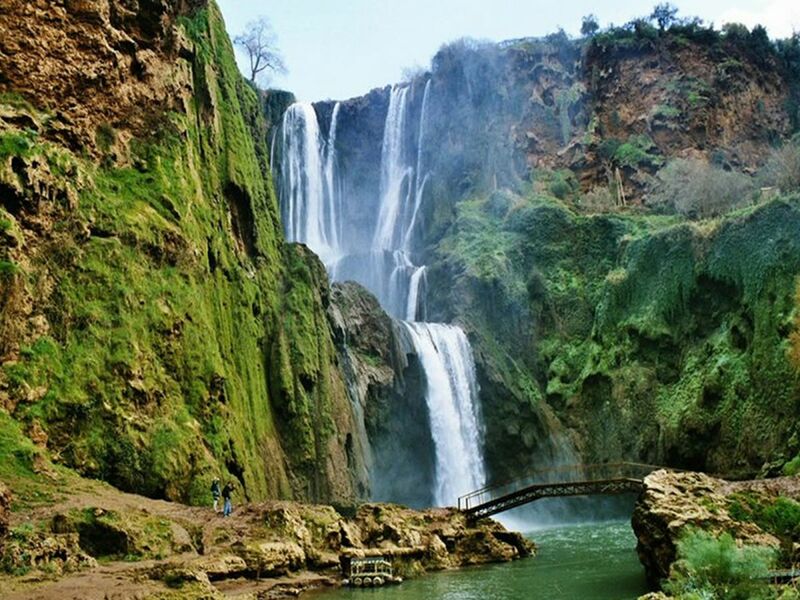 In less than two hours and and half driving through the lush and green valleys of high atls central , we reach the most beautiful ouzud waterful it is really spectacular rainbows. Walking path are available . We can eat a delicous tagine is cooked over the stove . The flavour of adventure by 4×4 , to discover a forgetable traks and the most spectacular scenery ,it is really the charm of experience and vivacious of 4×4 ride. 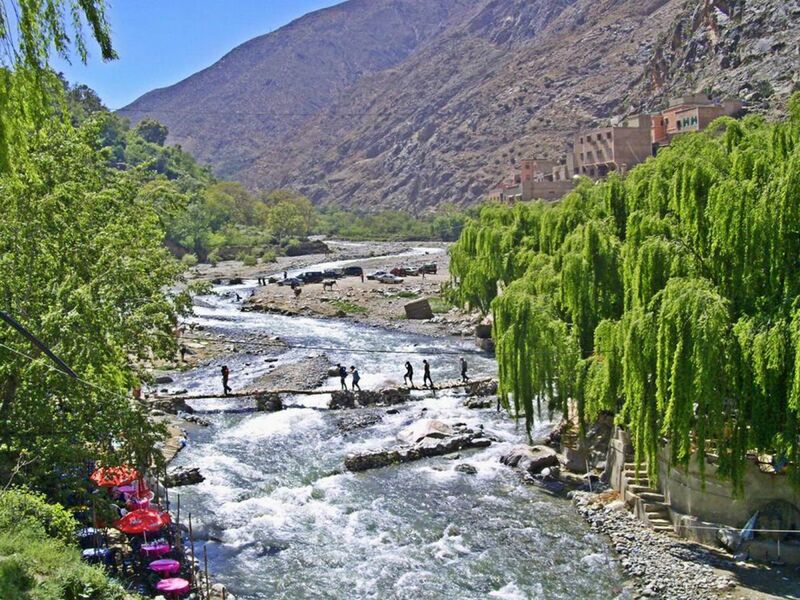 This tour is prepared by Said a tour berber mountain guide ; 17 years of experience in the field of tourism, This trip is turned out in the heart of high atlas mountain , you will never regret it . We start our trip from Marrakech city , on our way to Amizmiz we will see the lalla Takerkoust lake , then we will fallow the long side of the lake , we will see many berbers villages of different colour of life. Finally, we arrive to Amizmiz after 1h 30mn drive including the stop to satisfy the curiosity of our guests, : a large weekly berber souk on Tuesday. In the same destination which leads to Angal we will cross on our way a beautiful berber villages ,then we reach a berber village where we have a breaking tea , it is possible to see the way we prepare bread . 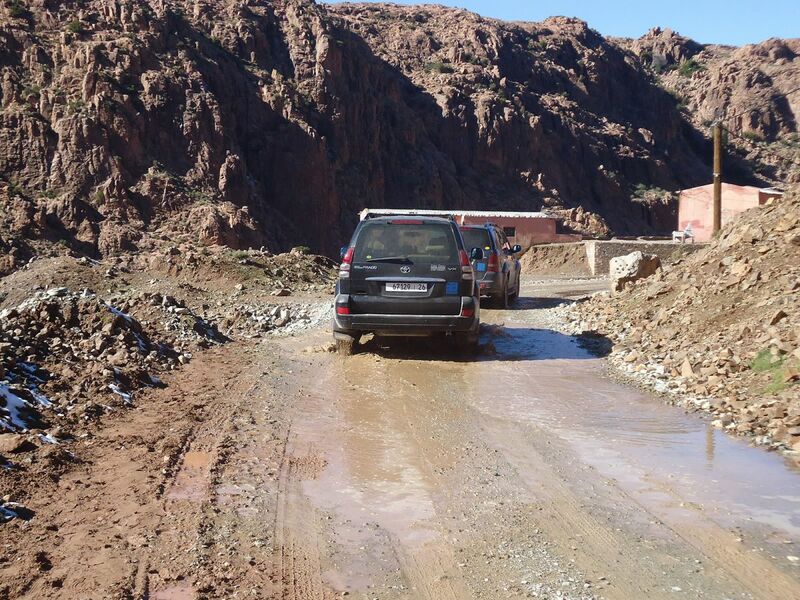 30 mn drive we reach Ardouz, a miners palce, then we go down to reach DarAtlasOudaker where our lucnh is served in aberber tradional way, salade, tagine, then fruit , and we will never forget the famous tea , Our trip is finished , then we take our way back to Marrakech.